A day trip to El Torcal and Antequera. 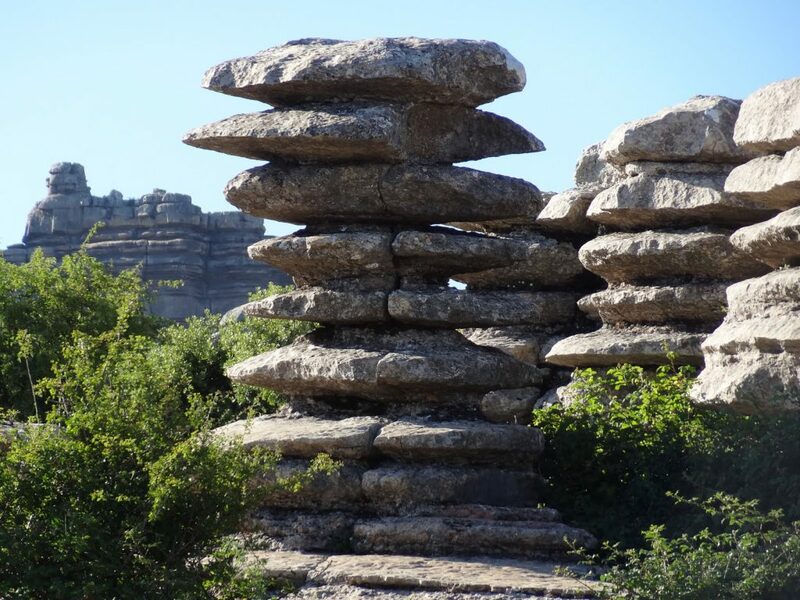 This tour combines a visit to the stunningly shaped rock formations of the El Torcal natural park with a sightseeing walk through the old city of Antequera and the ancient Dolmen. WEAR Comfortable clothing, hiking boots or sturdy sneakers, a hat, a windproof jack and sunscreen. We pick you up at you stay in the greater Málaga area to bring you to the first destination of the the day; nature park El Torcal. Together we walk a beautiful route right through the hart of park El Torcal. A short trip by car brings us to the ancient city of Antequera. We arrive in the old town of Antequera where we walk up to the remains of the Moorish castle to have a coffee. It’s time to relax and enjoy a good lunch in one of the typical Spanish restaurants. Usually we order a selection of plates to share together. After lunch we drive to a location just outside of town to visit two ancient dolmen. A smooth ride in our airconditioned SUV brings you back to your address on the coast. Arrival at your stay. End of the tour. El Torcal de Antequera is a nature reserve in the Sierra del Torcal mountain range located south of the city of Antequera, in the province of Málaga. It is known for its unusual landforms, and is one of the most impressive karst landscapes in Europe. The area was designated a Natural Site of National Interest in July 1929, and a Natural Park Reserve of about 17 square kilometres was created in October 1978. The Jurassic age limestone is about 150 million years old and was laid down in a marine corridor that extended from the Gulf of Cádiz to Alicante between the present Atlantic Ocean and Mediterranean Sea. These seabeds were uplifted to an elevation of over 1300 meters during the Tertiary era, resulting in a modest mountain range of flat-lying limestone, which is rare in Andalucia. Later, a series of fractures, cracks and faults at right-angles (generally NW-SE and NE-SW) were exploited by erosion and produced the alleys between large blocks of limestone visible today. The blocks themselves have been subjected to both dissolution by water (karstification) and freeze-thaw splitting action which, working on the limestone’s horizontal beds, resulted in the various shapes visible today, many of which resemble, and have been named after, everyday objects such as the Sphinx, the Jug, the Camel, the Screw, etc. Other flat surfaces have been karstified into rugged, rocky lands where travel on foot is difficult. 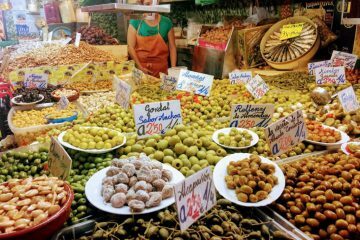 Get the most out of your visit of Málaga with our travel guide. 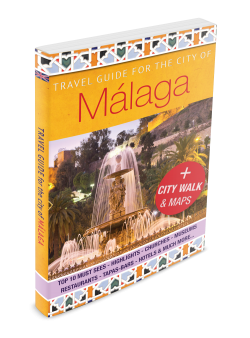 Get the most comprehensive, full-colour travel guide of the city of Málaga. Fast & secure via Amazon.